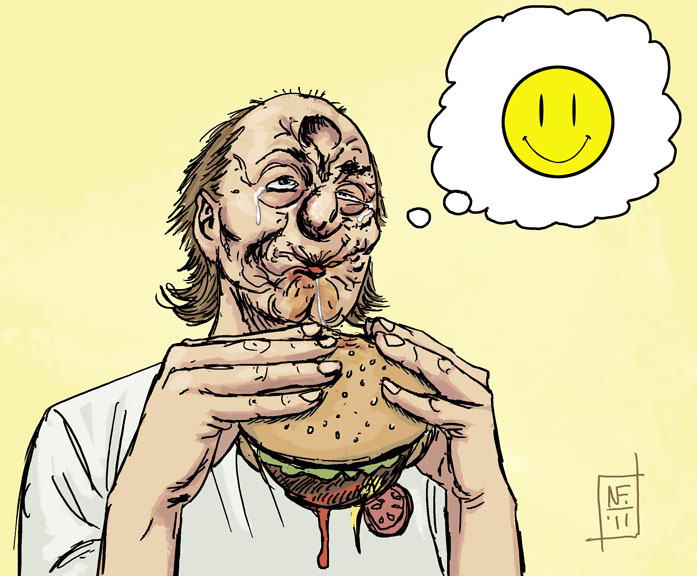 This is a drawing of Arseface crushing a cheeseburger. But I forgot to draw the cheese. So it's just a hamburger. HA HA HA!! Awesome! I was hoping someone would do ol'Arseface! But there's TWO hamburgers.... one in his hands and one on his FACE!